This red-haired beauty made her debut in the X-Men comic book in September 1963. Jean is one of the main characters in the X-Men team. She not only managed to conquer the heart of Cyclops who became her husband but became the love of a lifetime of brutal Wolverine. Jean Gray died and was resurrected in comics so often that she was jokingly called the most unkillable superhero. It is not easy now to be a kind and caring woman nowadays. 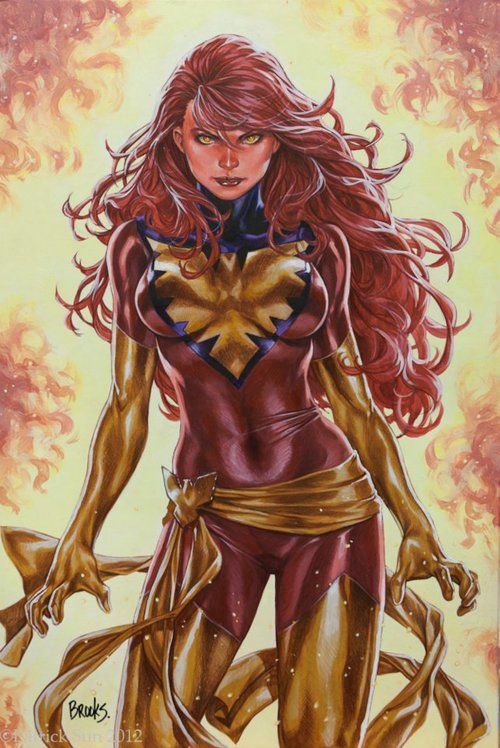 Superpowers: Jean Gray is a mutant that has telepathy and telekinesis. For the first time, her powers awakened at the age of 10 after she witnessed her friend’s death. Then Jean penetrated her mind and felt pain and suffering. Unable to cope with the feelings, she closed in on herself. Only after Charles Xavier set up a “barrier” that limited the growing power of the young girl, Jean was able to recover. A superhero is the physical bearer of the Phoenix Space Force which gives her almost infinite power. However, Jean is not able to control such power. Nevertheless, she is considered one of the strongest mutants on the planet. Black Widow made her debut in the Tales of Suspense comic, in April 1964. Her real name is Natalya Alyanovna Romanova; she was born in Stalingrad even before the start of the World War II (circa 1928). 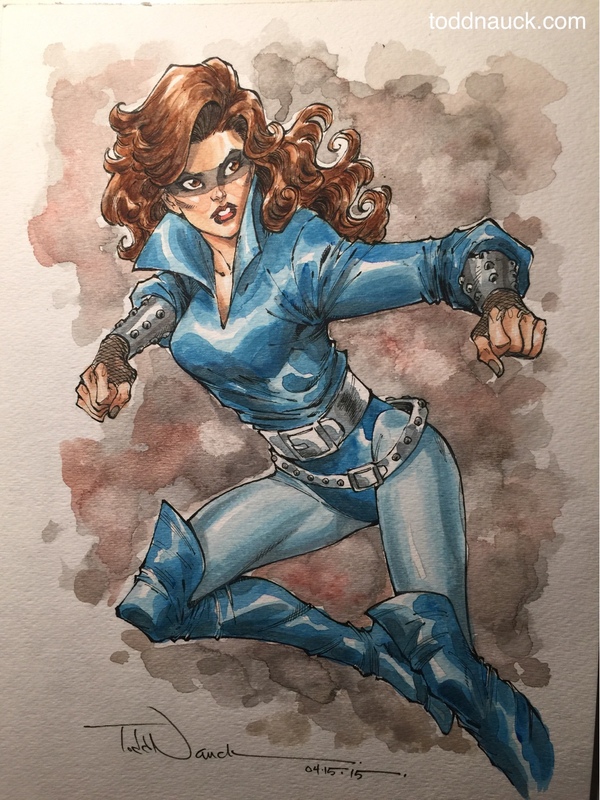 During her long life, Natasha had several nicknames: Natasha Romanoff, Natalie Rashman, Nancy Rushman, Laura Matters, Elena Belova, Natalya Shostakova, and others. This was to be expected from a spy. Natalya is gorgeous; she kinda looks like one of those pin-up models our parents had. Superpowers: Since childhood, Natasha was an excellent student at school and in sports: she was engaged in gymnastics and ballet. When the heroine matured, she began to work for KGB where, in 1984, the Soviet version of the serum of the Super Soldier was tested on her (the one thanks to which Steve Rogers became Captain America). After the experiment, Black Widow acquired an enhanced immune system, resistance to psychological effects, thought-reading abilities, delayed aging, and accelerated healing. Also, the physical capabilities of Natasha’s body improved to the maximum (strength, agility, endurance, flexibility, speed). In addition, Black Widow knows various types of martial arts, such as karate, aikido, Brazilian jiu-jitsu, sambo, savat, and kung fu. She is able to use blade weapons and firearms at a professional level. Natasha is an experienced spy and a secret agent; she is fluent in Russian, English, French, German, Chinese, Simkarian, and other languages. She is also an excellent hacker. Storm first appeared in the release of Giant-Size X-Men in 1975. First, by the way, it was planned to make Storm a man, but then the creators of the comic book changed their mind, deciding that it was necessary to add a female character. Her real name is Ororo Iqualdi T’Challa Monroe. She was married to the Black Panther, the ruler of Wakanda, and, accordingly, was the queen of this country. The marriage of Ororo and the Black Panther was officially annulled after she refused to fight on the side of the Avengers against her friends, the X-Men. 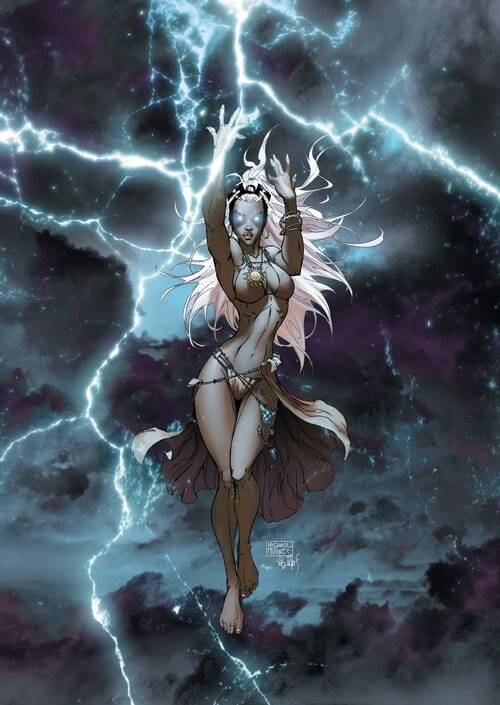 Superpowers: Ororo is able to control the weather in all its manifestations; she also sees well in the dark, can fly, and has great magic potential since all women in Ororo’s family were priestesses. However, she is not in a hurry to develop her magical abilities. She also learned the art of stealing in childhood, so she is incredibly dexterous and agile. Katherine “Kitty” Pryde is one of the most popular X-Men members among fans. https://www.marvel.com made some polls of the audience’s favorite characters over the years, and she consistently came in the top 3. The character first appeared in the Uncanny X-Men comic in 1980. In the entire history, Kitty had several nicknames: she bore the names Ariel, Fairy, and Chimera. 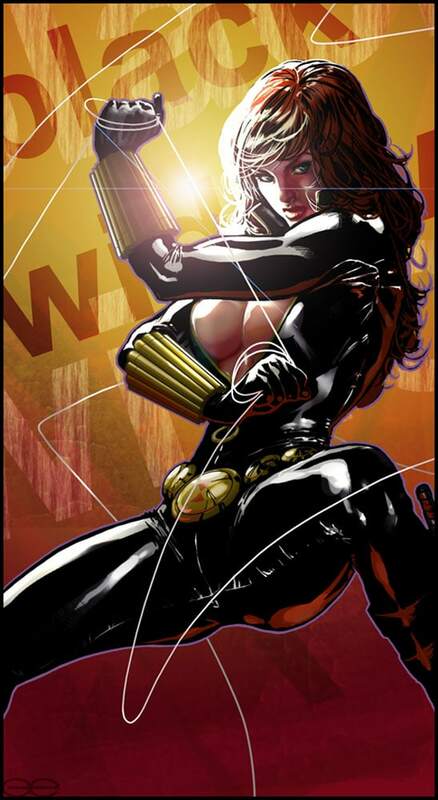 Superpowers: At 13, Kitty had severe headaches, after which she developed abilities: she could pass through any objects. Moreover, if she passes through electrical appliances, they fail. Over time, the heroine developed her skills and learned how to condense atoms, so she can walk through a staircase like it’s nothing. In addition, Kitty is a master of ninja and martial arts, taught by Wolverine.